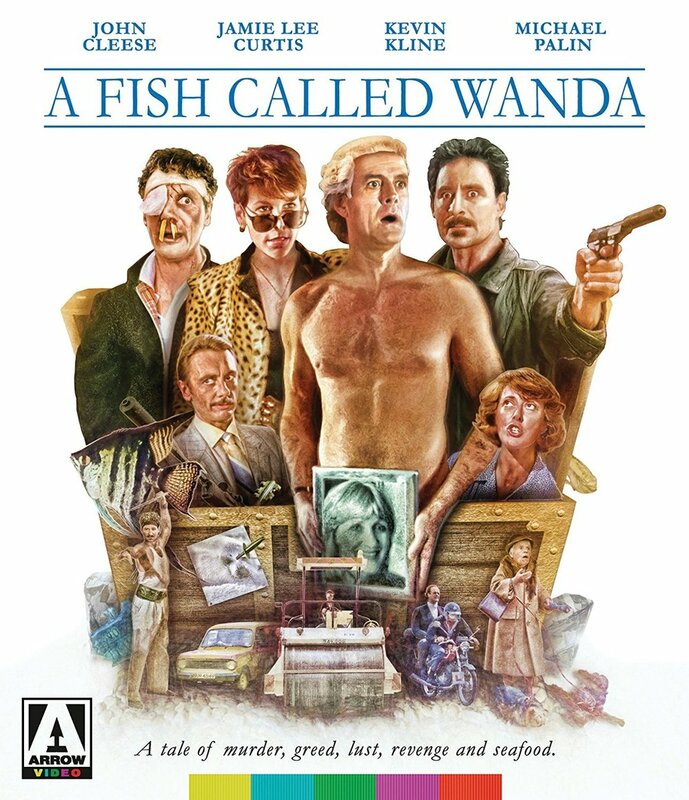 A Fish Called Wanda is a comedy from 1988 that was released by MGM Pictures. It’s directed by Charles Crichton and stars a lot of big names like John Cleese, Jamie Lee Curtis, Michael Palin and Kevin Klein. The movie was an extremely popular around the time of its release. I remember my mom and her friends liking it when it came out. Unfortunately, it has faded from most people's memory in recent times. The film is set in a relatively modern London (1987). 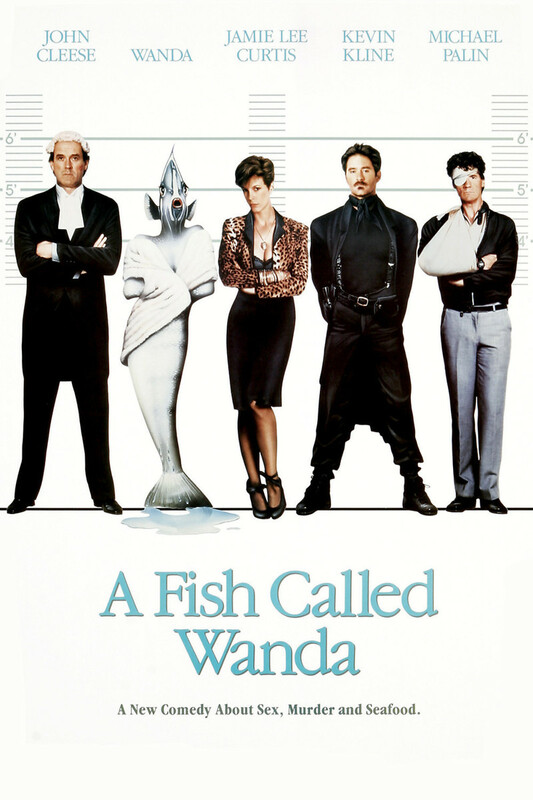 It features two American criminal lovers Otto (Kevin Kline) and Wanda (Jamie Lee Curtis), who are planning to double-cross their boss George Thomason (Tom Georgeson) and his right hand man, Ken (Michael Palin), following a jewel heist that would get them over ten thousand British pounds. The plan involves a schlub British barrister (John Cleese), that gets involved with Wanda eventually driving this entire plan off a cliff. Hilariously. The entire project started as a discussion between John Cleese and veteran director Charles Crichton back in 1969. The two had wanted to work together, but couldn’t come up with a viable plan. However, that desire to work alongside one and other never died, and in 1987 the two linked up to begin work on A Fish Called Wanda. A fantastic mix of smart comedy and great character work from a tremendous cast. The film direction is sold considering MGM had their doubts with the 78 year old director. Although John Cleese was alongside and picked up a Co-Direction credit. This is a movie that I would definitely recommend to anyone looking for something smart to laugh at. John Cleese and Michael Palin are known for their work in the Monty Python series. However, this is a pretty far jump from that comedy troupe. I had a great time watching it and I think you would too. It’s not obscene or raunchy, but entertaining and clever. A damn fine movie that shouldn’t be forgotten.